Alexis Sanchez and Henrikh Mkhitaryan are closing on a deal to trade places at Arsenal and Manchester United, with the pair chasing work permits in Liverpool on Monday. An agreement which will see the playmaking pair swap clubs is edging ever closer, with the Red Devils and Gunners waiting patiently on developments. Personal terms are in place, while the necessary medical checks have been carried out. Mkhitaryan had been spotted in London over the weekend, while Sanchez has been captured on camera taking selfies at Old Trafford, but neither transfer has yet been officially announced. Obtaining work permits should give United and Arsenal the green light, with that the final piece of paperwork to be completed. Two men at the centre of a long-running saga are doing their best to get everything over the line, with the star duo having headed to the same visa and immigration office on Merseyside. Any footballer from outside the EU must obtain a work permit in order to represent an English football club. Every non-EU professional must successfully apply for a Governing Body Endorsement (GBE) with the FA before the Home Office can then grant a work permit. Only internationally established players at the highest level, who are considered to be in a position to make a significant contribution to their sport, are allowed to turn out in the UK. In order to meet criteria laid out by the relevant authorities, those seeking a work permit must have represented their national side on a certain number of occasions over the previous two years. 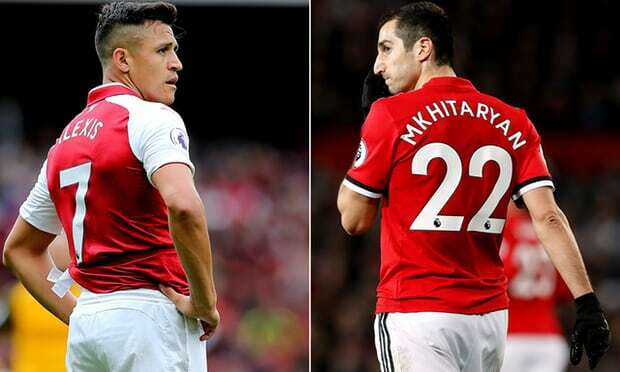 Sanchez and Mkhitaryan are regulars for Chile and Armenia respectively, with the former having been in England since the summer of 2014 and the latter since joining United in 2016.